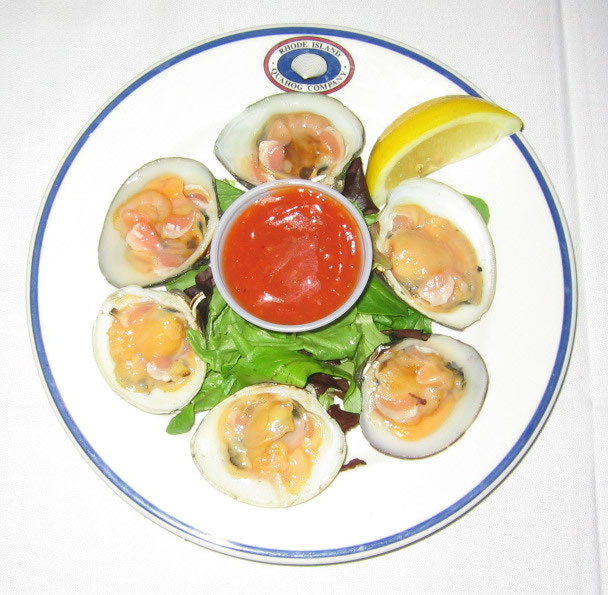 Rhode Island Quahog Company in Newport serves an outstanding traditional New England raw bar along with fish and chips, fresh broiled fish and pub burgers. This restaurant is open daily for lunch and dinner. RI Quahog is well known for its community involvement, choosing to dedicate Thanksgiving Day towards feeding the hungry. Mix Oil with thinly sliced garlic on medium heat. Add Asparagus. Saute on medium for about 10 minutes. Put Little Necks in Large pot, add 1/2 bottle of Narragansett + Sage let boil on high heat, cook for about 5 minutes, until they open a little bit. Serve with beer. In covered Dutch-oven bring the water, wine, oil, garlic, parsley and pepper flakes to a boil. Add clams and cook until clams open about 10 min. Serve with rolls and butter. Excellent for dunking in clam juice. 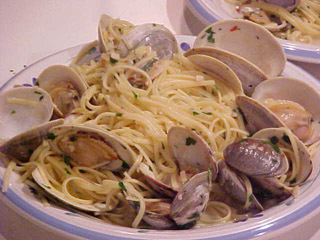 The best Spaghetti alle Vongole is made with fresh Rhode Island Little Necks. Add the olive oil to a hot pan and heat, then add the garlic and cook briefly until softened but not browned. Add red peppers and cook very briefly. Then add white wine and simmer to reduce while the pasta cooks. Add quahogs and reheat until quahogs open, but do not allow to boil or clams will be tough. Drain pasta and put in a wide serving dish. Add clam sauce and the parsley. Mix lightly. Season with black pepper and serve immediately. Parmesan cheese should not be served with this dish. 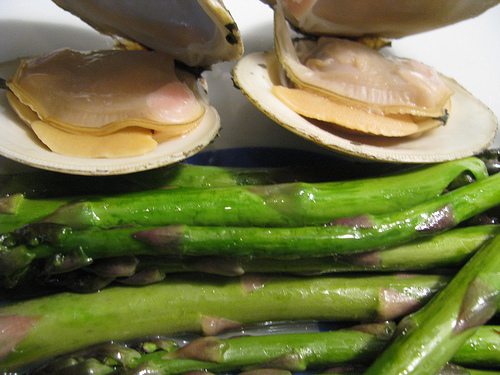 Eileen and Bruce make a perfect vongole sauce with Rhode Island quahogs. The secret is to reduce the sauce before adding the Little Necks, and cook just long enough for them to open so they are tender and delicious. I buy my quahogs from Anthony's Seafood in Middletown, Rhode Island, the day I am going to cook them. Scrub quahogs with a stiff brush, under running water right before cooking. NEVER soak quahogs. Store quahogs in fridge in an open bag or dish. They need to breathe.